Volcanic talk speaker on Roman Pompeii, Herculaneum and Vesuvius: gems of Italy. 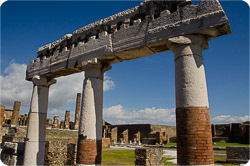 Pompeii and Herculaneum in Italy's Bay of Naples were destroyed but also preserved by an eruption of Mt. Vesuvius, as searingly hot avalanches of ash overran them. 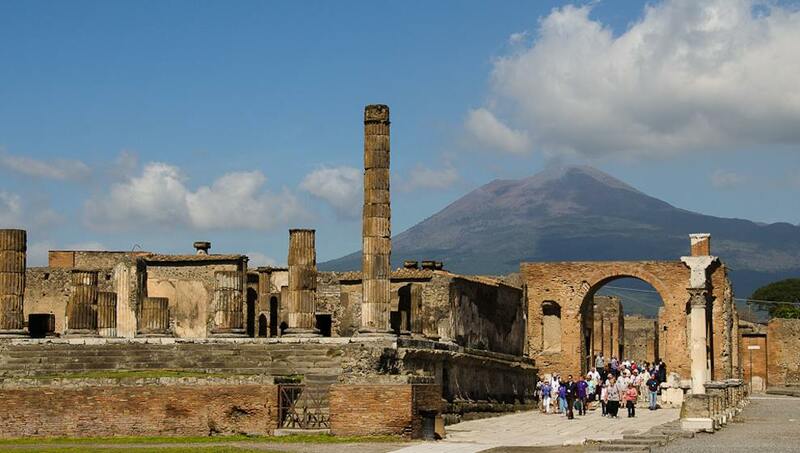 Pompeii, a UNESCO World Heritage Site, was buried to a depth of only 4m and an exploration of its excavated streets and buildings can teach us much about the Roman way of life. 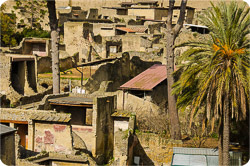 Herculaneum, buried to a depth of 20m, presented a more challenging excavation but has preserved taller buildings and while a smaller site, is an extremely dramatic one. 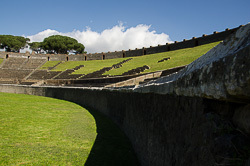 Using my expertise as a guide to Pompeii, I explore this fascinating site and unravel what can be learnt from it. Multiple visits have allowed me to build up a library of great images, videos, stories and insights. But Mt. Vesuvius still looms over all, and threatens one of the most densely populated areas of Europe, making it the most dangerous volcano in the world. I use my geology background to examine the likelihood of it erupting again, what the consequences would be, and assess the emergency evacuation plans. I was working on Montserrat when the volcano erupted and I witnessed the evacuations and disruption to this idyllic Caribbean island. Details of this talk here. This talk explores Mt. Etna volcano, and the volcanoes of the Aeolian Islands.